I love this card with the Bokeh technique from team member Moira Sands from Ancaster, ON. 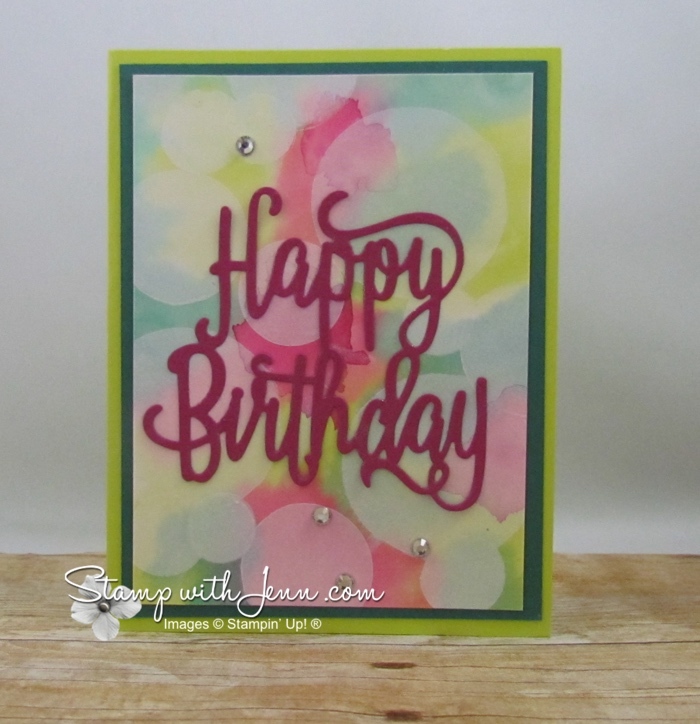 Moira used the new Happy Birthday thinlits dies of top of her gorgeous Bokeh background. The dies are new in the catalogue and can be bundled with the Happy Birthday Gorgeous stamp set. The Bokeh technique is borrowed from photography where you have some parts of the image out of focus and a play on light. 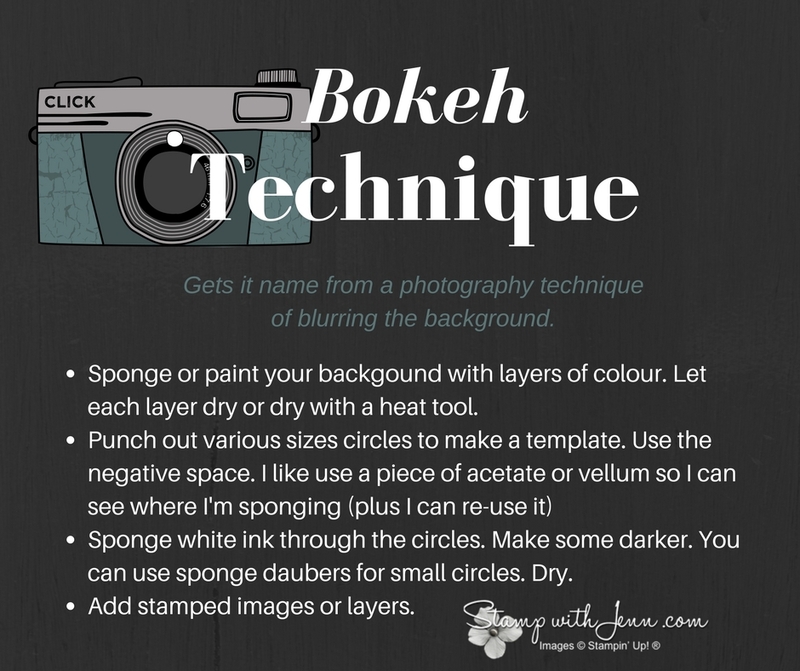 Here’s how to do the Bokeh technique. Also note on this card, that Moira used some of the new ‘In-Colors’ Lemon Lime Twist for the background and Berry Burst for the Happy Birthday Thinlits. You can see another post HERE with the Happy Birthday Thinlits. You can see another post HERE about the current ‘In-Colors’. Be sure to check back next Tuesday and I’ll share another technique with you for my new feature “Technique Tuesdays”. l Want the Holiday Catalogue?